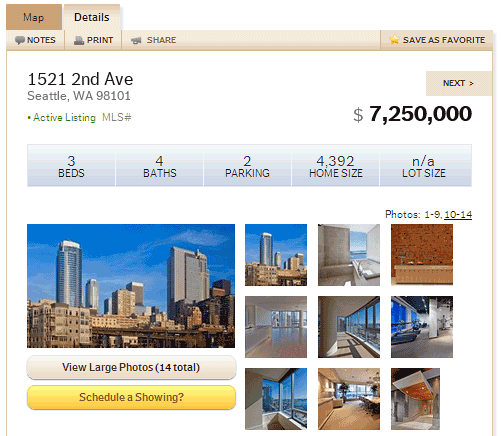 Searching for condos just got easier on The Seattle Condo Blog with our revamped interface that makes searching, viewing and sharing condo listings simpler. 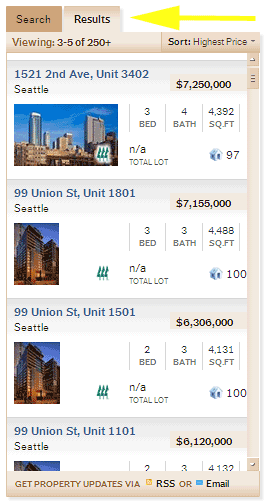 (1) The new condo search screen. 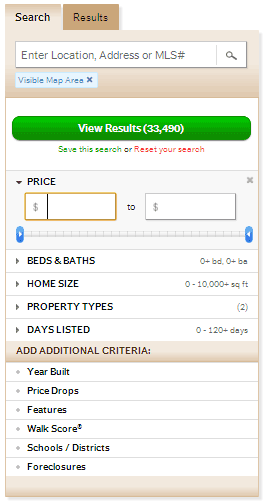 The new search screen provides you the choice to search by map or by feature criteria. 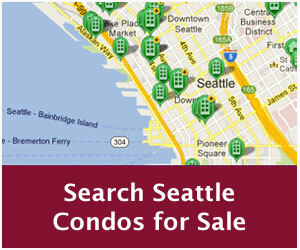 To search by map, just double click to map to zoom in to find condos for sale in your desired neighborhood. For a more refined search, use the filters in the left side panel to select your criteria. The search filter panel makes it easy to refine your search criteria. Narrow your searches by price, number of bedrooms & baths, square footage, days on market, school district, Walkscore or home features. 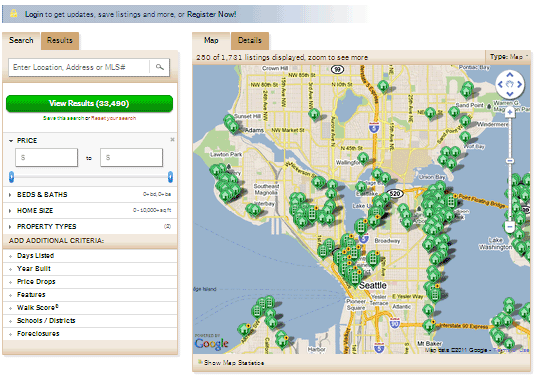 You can also search for pre-foreclosure (short sale) listings. Then click on the “View Results” button. The results will automatically update the main map panel. You can also view the results in the side panel by clicking the “Results” tab. 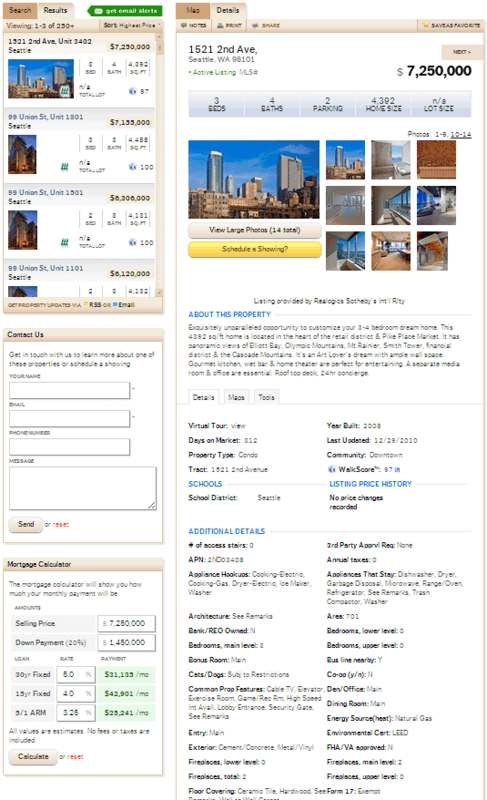 The property listing details page quickly shows photos (with the option to view larger photos), the condo unit description and a complete list of property features and details. Close up of listing details page. 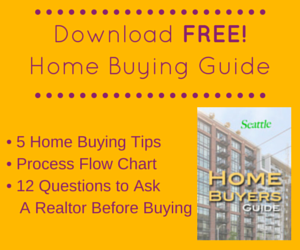 You can take notes, save, print or share the listing with friends and family. 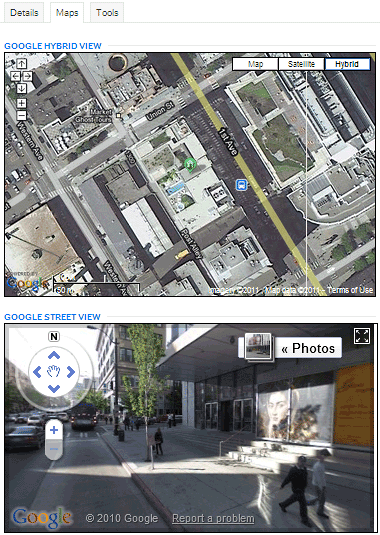 Google hybrid and street view maps. The “Tools” tab contain community and school information. (4) Register for an account. 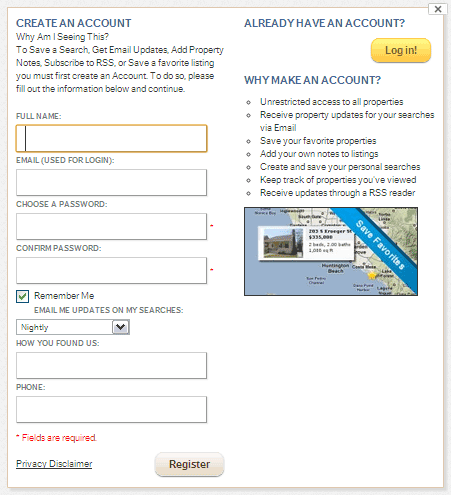 Registering an account will allow you to take notes, save your favorites and receive listing email updates to keep track of new listing as soon as they’re listed.